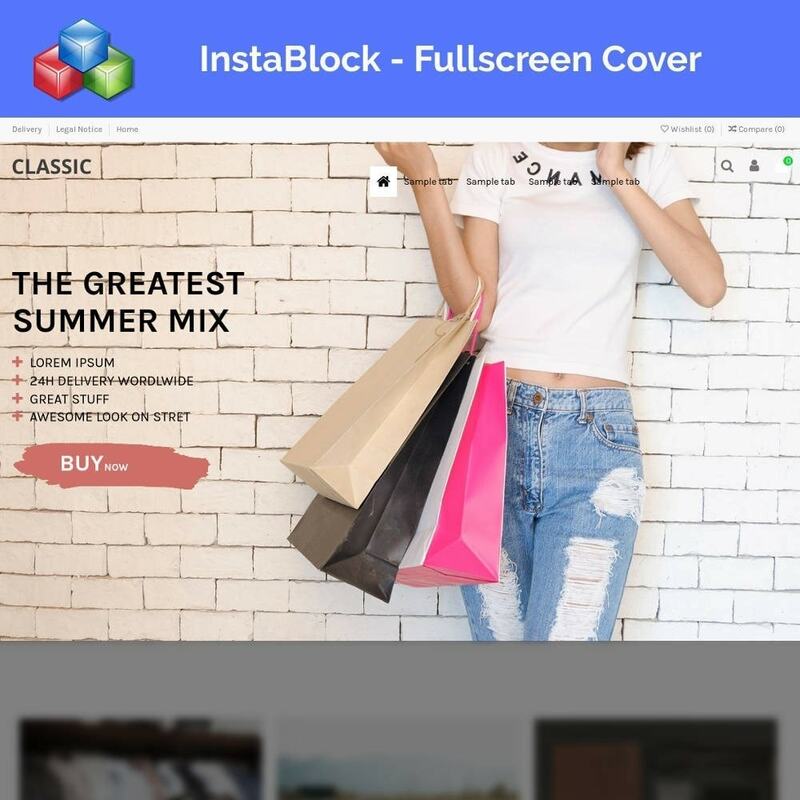 InstaBlock is a Prestashop module to create slider blocks + fullscreen cover blocks + image background blocks + video background blocks + side image blocks + custom HTML blocks. 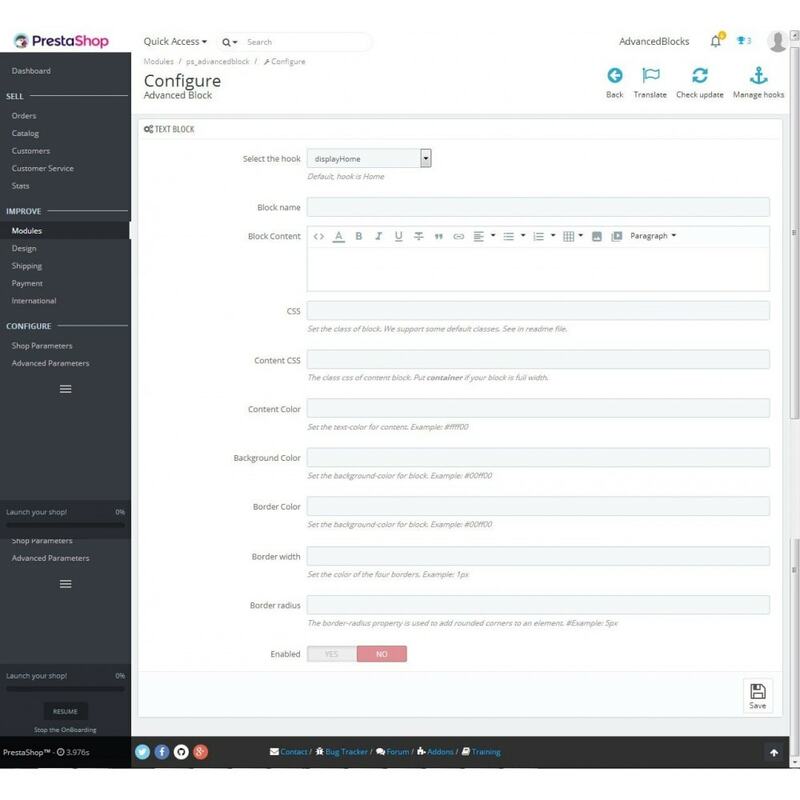 It is an all-in-one solutions for any of your custom content blocks. Let's say you need a custom HTML block for your Prestashop store, ok, you go to search a module for it. Now you need an image background block. Ok, you continue to search for it. Wait, you need another kind of content block, you repeat the steps to purchase another one. Is it a tired and consuming process? Not to mention purchasing all of them is expensive too? 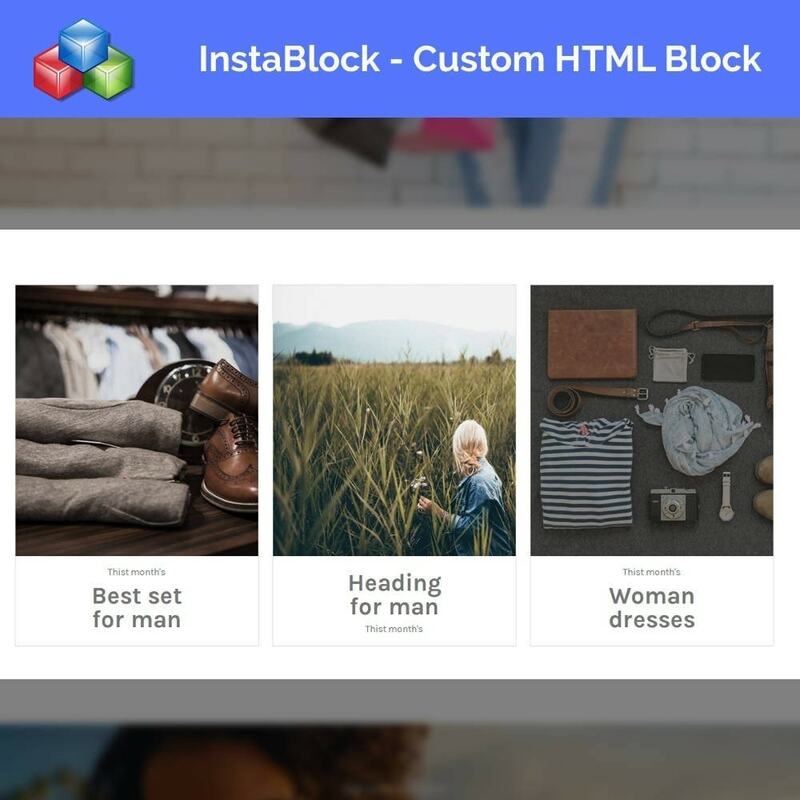 InstaBlock has them all for you, in a single place. 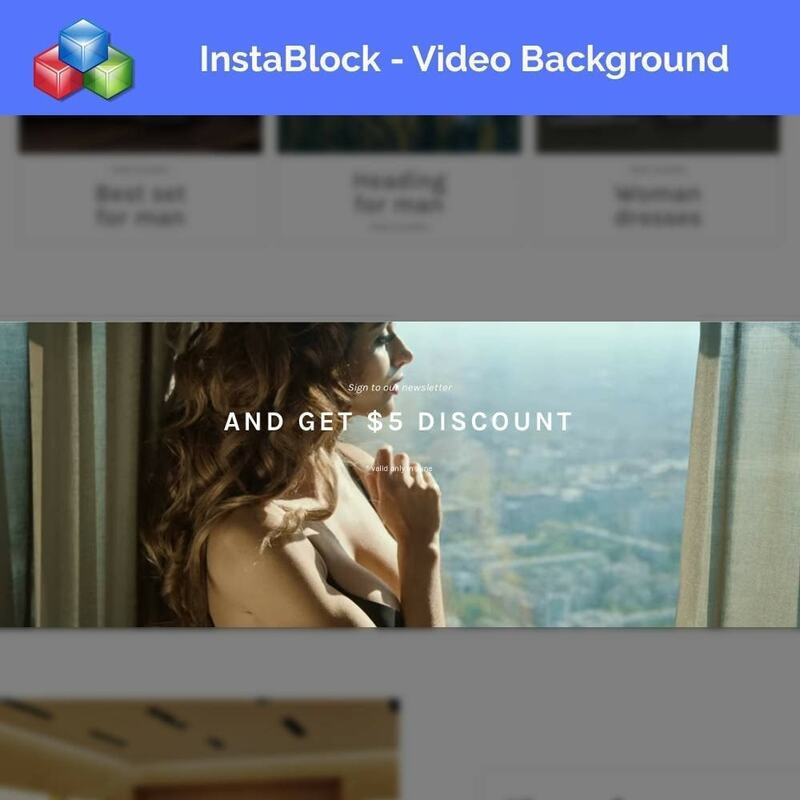 A cover block with a beautiful hero image to tell your site's main offers. 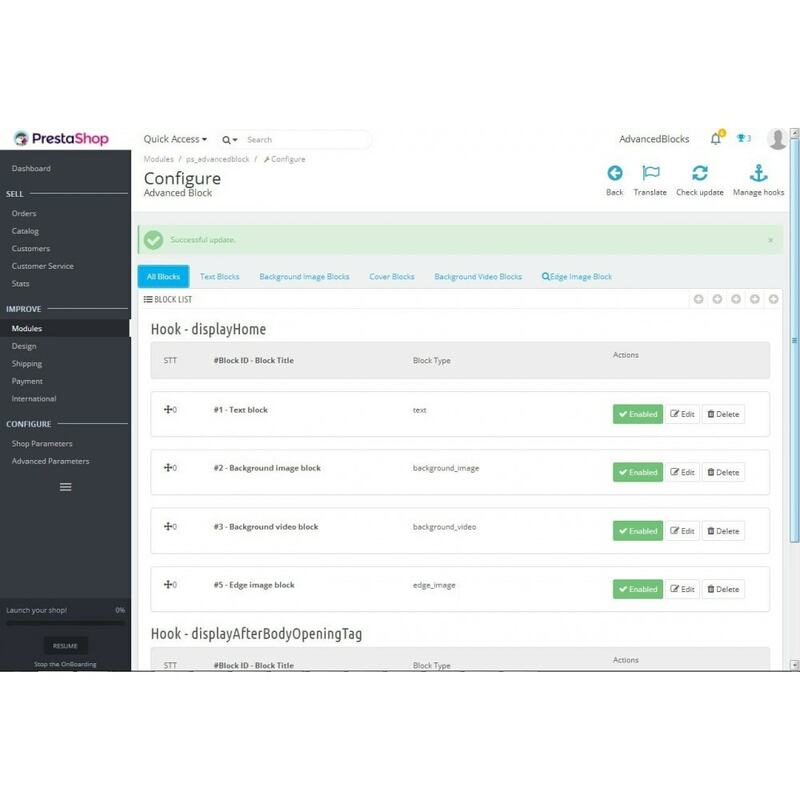 The module also provide 35+ hooks for any position that you want to put the blocks on your Prestashop site. We will continue to add more block types to this module. Please raise your request to us. For better attracting customers' awareness, you may need more than a product list on your ecommerce site. 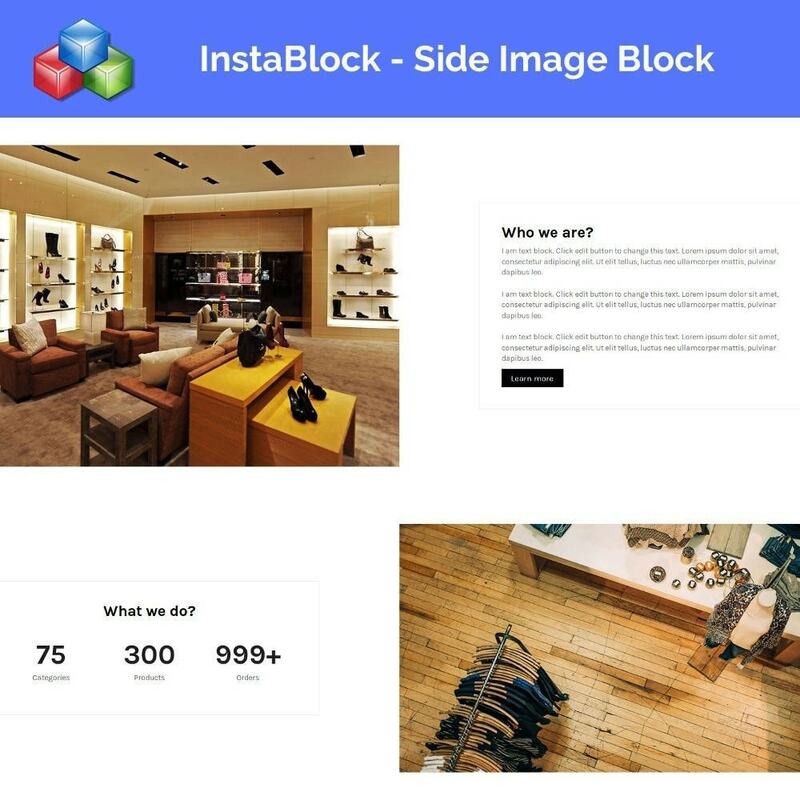 With various types of blocks this InstaBlock module offer out-of-the-box, you can decorate your online stores with attractive content, and thus, sell more. 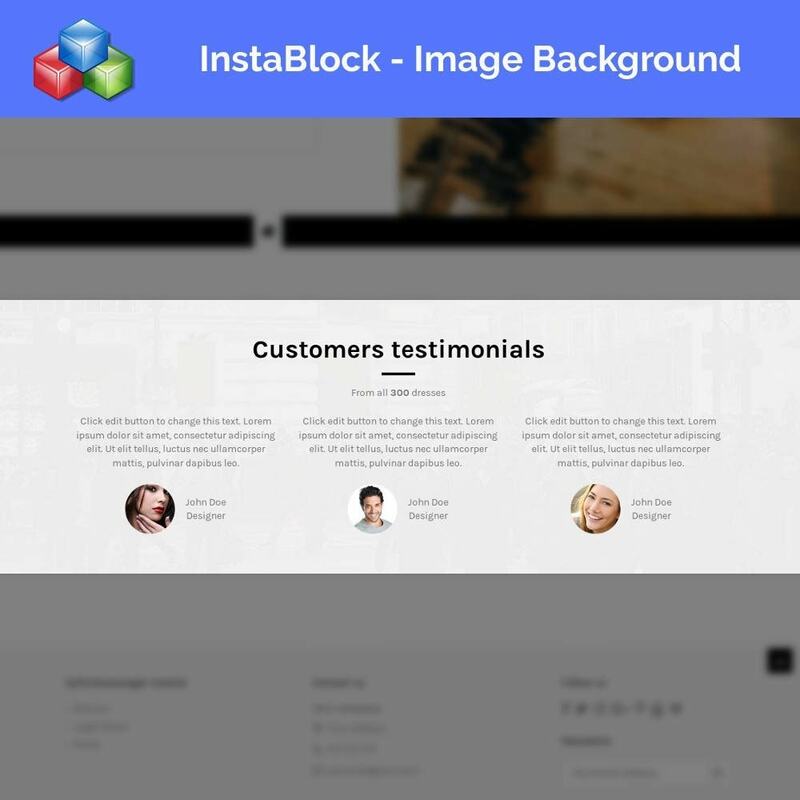 Built-in block types: Background Image Block, Cover Fullscreen Block, Background Video Block, Edge Image Block, Custom HTML Block. 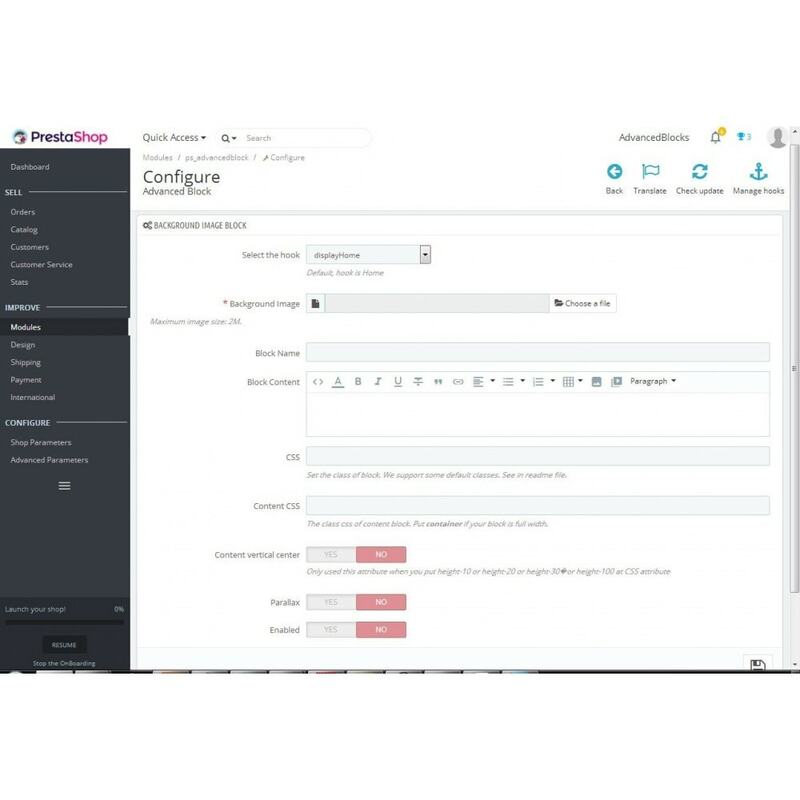 Easy administration, all blocks are managed in a single admin page. Image upload via the TinyMCE’s File Manager. 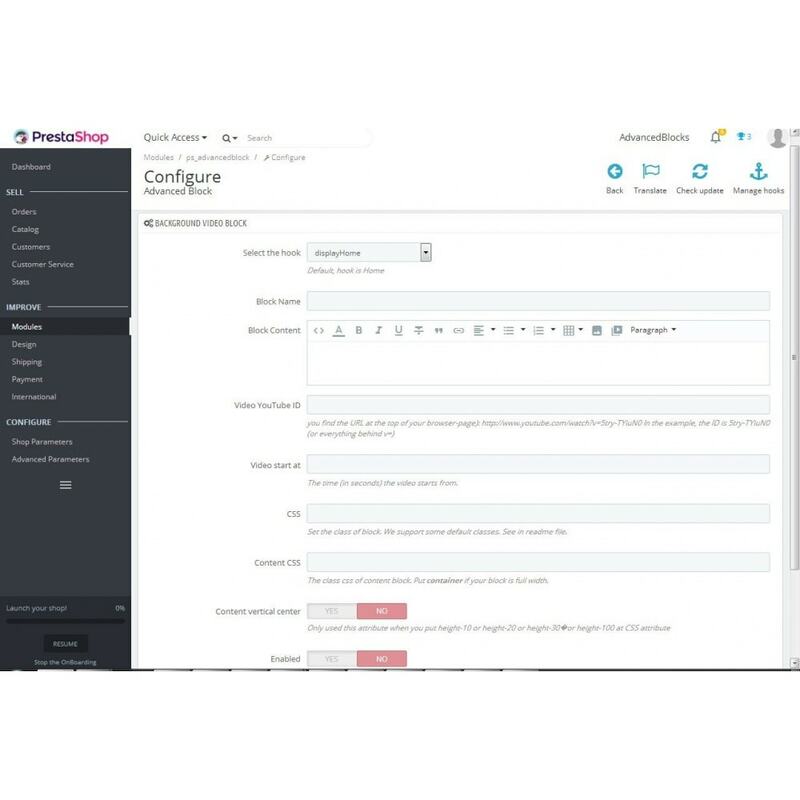 Using your FTP software, upload it your PrestaShop /modules folder. Locate the Advanced Block module on the list, and select Install. 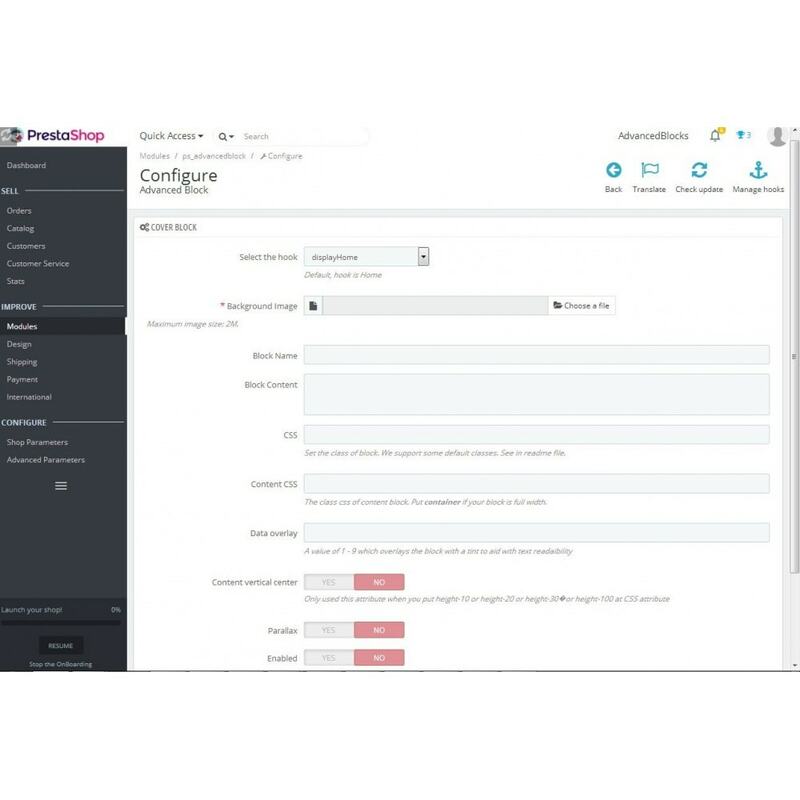 After the page refreshes itself, locate the module again and click >> Configure.